Samsung is expected to announce the Galaxy S10 and S10 Plus flagship phones at the beginning of 2019. Fresh information coming from South Korea reveals that Samsung Galaxy S10 duo may not feature an iris scanner. Samsung has been actively developing the different components that will go into Galaxy S10 but there has been no progress in the parts related to iris authentication. The South Korean company has not placed sample orders for iris scanning module with its partner companies for the Galaxy S10 duo. This could be because the company may have decided to introduce in-display fingerprint scanner on the Galaxy S10. Hence, there may not be any need for an iris scanner on the upcoming flagship phone. 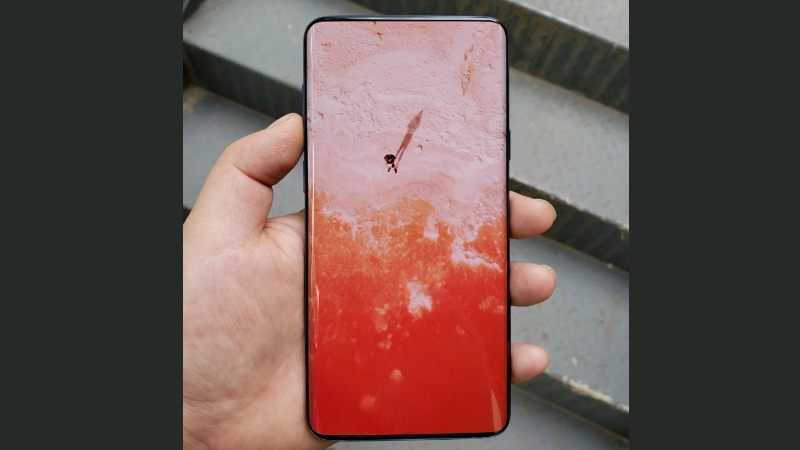 Samsung has been actively developing samples with its partners for the Galaxy S10 that is codenamed as ‘Beyond‘. Samsung Galaxy S10 is expected to arrive with a 5.8-inch display whereas the Galaxy S10 Plus may house a 6.3-inch screen. As previous reports have claimed, the company may use Qualcomm’s in-screen fingerprint scanner on the S10 duo. The U.S.-based chip market seems to be all set to begin the commercialization of its under-display fingerprint reader. Some reports have also claimed that apart from unlocking the phone, the advanced fingerprint scanner can also detect blood flow and heart rate. Citing industry sources, The Bell has reported that Samsung is also considering introducing facial recognition feature through a 3D depth sensing camera on the Samsung Galaxy S10. Israel-based Mantis Vision and Samsung Electronics Institute of Technology are reportedly conducting algorithm developments tasks that are required for the accurate functioning of 3D sensing module. If Samsung includes iris scanner in the Galaxy S10 then it would be equipped with three biometric recognition features. Hence, the South Korean company may opt to exclude the feature on the 10th anniversary Galaxy S smartphone. With in-screen fingerprint sensor and 3D facing scanning onboard, the removal of iris scanner would also allow the company to save money. However, if Samsung is unable to include in-display fingerprint scanner or 3D facial recognition on the Galaxy S10 for some technical reasons, it may revise its strategy to include iris authentication feature. Since Samsung has been providing iris scanning feature on its premium phones for the past two years, its suppliers can fully mass produce its components in short duration even if the sample development has been delayed. The upcoming Galaxy Note 9 that is expected to debut in August could be the last premium phone from the company to feature iris authentication. Previous reports had claimed that the company had made efforts to introduce in-display fingerprint scanner on the Note 9 but had to cancel because of the technical problems it encountered.